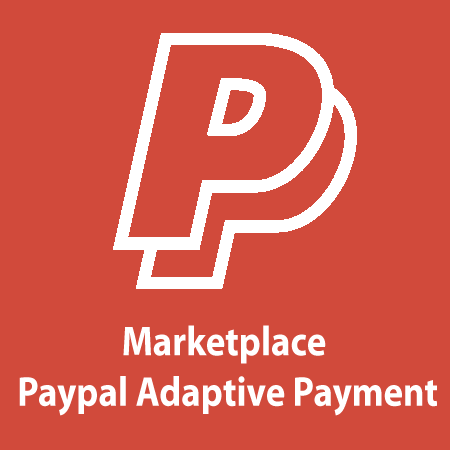 Marketplace Paypal Adaptive Payment Addon automatically splits the payment between the owner and multi-vendors. Marketplace Paypal Adaptive Payment addon allows website owner handles payments between a sender of a payment and one or more receivers of the payment. This module is an plugin of Magento Marketplace Extension . To use this moudle you must have installed first Marketplace extension. + Parallel payments enable a sender to send a single payment to multiple receivers. For example, your application might be a shopping cart that enables a buyer to pay for items from several merchants with one payment. Your shopping cart allocates the payment to merchants that actually provided the items. PayPal then deducts money from the sender's account and deposits it in the receivers' accounts. + Chained payments enable a sender to send a single payment to a primary receiver. The primary receiver keeps part of the payment and pays secondary receivers the remainder. For example, your application could be an online travel agency that handles bookings for airfare, hotel reservations, and car rentals. The sender sees only you as the primary receiver. You allocate the payment for your commission and the actual cost of services provided by other receivers. PayPal then deducts money from the sender's account and deposits it in both your account and the secondary receivers' accounts. 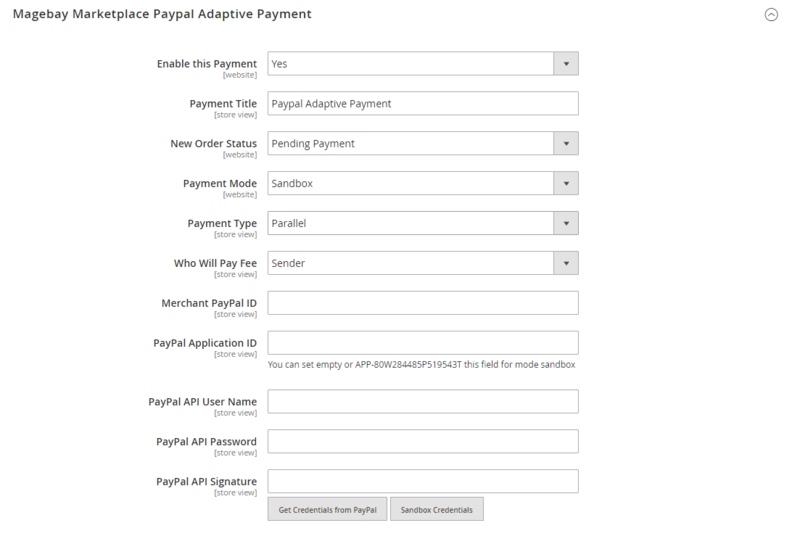 Easy to enable or disable Paypal Adaptive Payment Payment method.